We are happy to announce that after one year of trustful cooperation Duthilleul et Associés has become an official member of the ETL Global Network. Duthilleul et Associés was founded in Paris in 2001 by the two senior partners Dr. Frédéric Duthilleul and Pierre Joffredo. Nowadays, the firm has over 30 employees, with four additional junior partners. 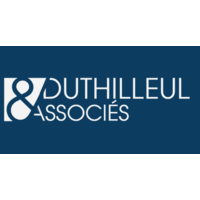 Duthilleul et Associés has grown into a fully integrated service firm with different business lines, all led by specialists in their respective fields. Apart from a comprehensive tax/accounting/payroll-HR/consulting practice, Duthilleul et Associés has also got an experienced audit team which is making up for around one third of the business (statutory audit/due diligence). The firm’s clients are primarily medium-sized private companies, most of them French subsidiaries of international groups, with a heavy focus on clients originating from German-speaking countries (foremost Germany, but also Austria and Switzerland). Industry expertise within Duthilleul et Associés covers machinery, automotive equipment, paper, real estate, renewable energy as well as b2b services (distribution and sales , events, fine art, TV prod, etc…). The strong focus on international clients contributes to an above average fluency in foreign languages, with ten members of the firm’s workforce being either of German descent or at least fluent in German language. You can contact Duthilleul et Associés at info@duthilleulaudit.com or by calling +33 1 40161396.